Ping ( left ) and Rowe have been partners since April 9, 1971. 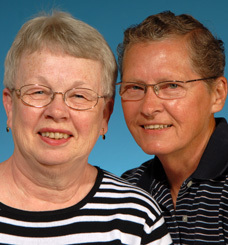 They have supported lesbian social and service groups. Rowe also participated in lesbian sports leagues starting with 1960s bowling teams.